All children should have a chance to thrive. Some kids need someone to help them along that path. Turns out doing something important can be incredibly simple. With children across Massachusetts Bay waiting for a Big, there has never been a better time to volunteer as a mentor. It’ll be fun and rewarding. And our professionally trained staff will be there to support you every step of the way. Discover why so many Bigs are now saying, "I get so much more than I give." Wondering if you have what it takes to be a mentor? The answer is yes! 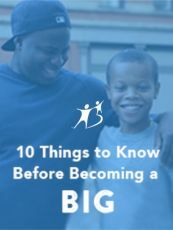 In order to apply to be a big, you must be over the age of 18 and able to commit a few hours a couple times a month for at least one year. 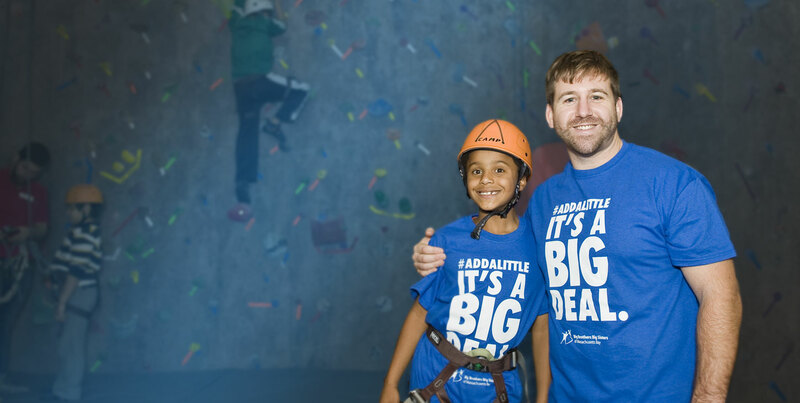 The team at BBBS are happy to answer any questions you may have about becoming a Big. We have flexible options for all volunteers. Learn more about our other programs. Learn about our applications, matching process and scheduled meet ups. For you, it's an afternoon rock-climbing. For a Little, it's the opportunity to reach new heights. It doesn't have to be complicated. Just being there means everything.